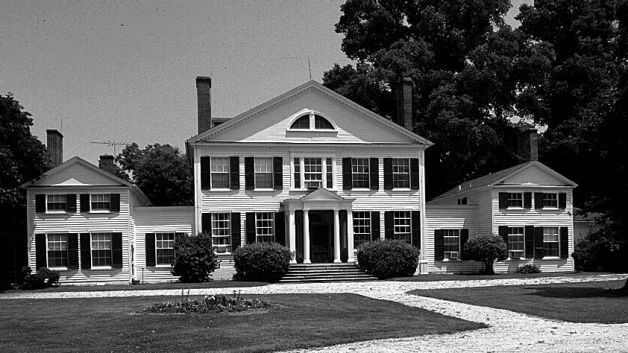 The Wye House, on the plantation where Frederick Douglass was at one point enslaved. Every summer since 2008, I coordinated a reading and correspondence program for approximately 40 incoming first-year college students at SIUE. Through some generous funding, we would purchase copies of Frederick Douglass's Narrative of the Life of Frederick Douglass and have the books sent to the students. I would send the participants reading assignment questions, and they would respond. Well, this summer, funds were low, and we couldn't afford to purchase 40 Douglass books for the students. The alternative? I invited the students to sign up for accounts on RapGenius (RG) and join me in annotating select chapters from the book. Now of course, I regret that we could not send each student a hard copy like in the past, but I have to admit there were numerous important benefits for us reading and annotating Douglass online. For one, having the students sign up for accounts on RG and reading their annotations and reading their profiles gave me a chance to get a sense of their personalities in ways that was not as possible in prior years. The summer reading project, which begins in July, was my first interaction with the students who would enroll in my class during the fall semester; I would not meet them face-to-face until August. Second, the annotation process gave the students a chance to contribute to how public audiences might understand Douglass as opposed to simply answering questions for me, their professor. In follow-ups, the students informed me that what they really appreciated the opportunity to observe how their future classmates were talking about and annotating a common text. Finally, the RG platform made it possible for us to expand or diversify our approaches to annotation. When I first prompted the students to annotate chapters, they all provided short sentences explaining texts. However, I later made them aware that it was possible and in fact encouraged to annotate using visual images as well, the students began to actively use images to enhance Douglass's words. I was most impressed when one of the participants in the project discovered and uploaded an image of the Wye House on the plantation where Douglass had lived and been enslaved for a period time. When I finally met the students as a group in August before the start of classes, I felt, as always, that I was meeting a good group of young people beginning their college careers. But there was something different this time as well. I also realized that I was meeting a group of early RapGeniuses.